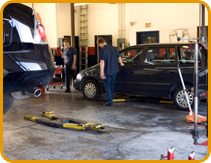 Operating from modern premises on the Lionheart Enterprise Park on the outskirts of Alnwick, with adequate parking and the latest facilities and equipment, JRC Motors provides a comprehensive range of services for motorists and operators of light commercial vehicles. We are an independent company and, unlike most franchised dealers, we are not subject to the price dictates of the vehicle manufactures, nor do we carry the same level of overheads. This means that we can offer a top quality service at an affordable price and don’t forget, the work we undertake for you will not affect your vehicle’s warranty. 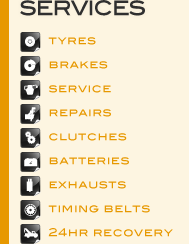 Whether it’s Servicing, Repair, Recovery or MOTs, call 01665 606915 during opening hours, 07545 922081 outside of opening hours or call in and see us, we’re easy to find.